SCE groundman Ryan Cherrie watches as Niko Maloney (left) and his brother, James, try on SCE hard hats. Pretend City Children’s Museum hosts SCE and other professionals to show what they do on the job. If there is one thing kids like, it is trucks — big trucks. 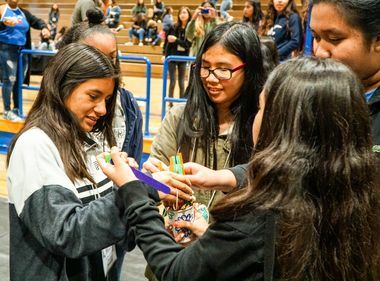 So it was a fun day for about 1,000 youngsters and adults when Pretend City Children’s Museum in Irvine recently held its annual When I Grow Up Day. Pretend City Children’s Museum is a child-size version of a city designed with interactive exhibits that let children “pretend” to do various adult jobs, like doctor, banker or first responder. As part of the When I Grow Up Day’s event, the museum opened its parking lot to 35 professionals to show off their big trucks and talk about what they do. 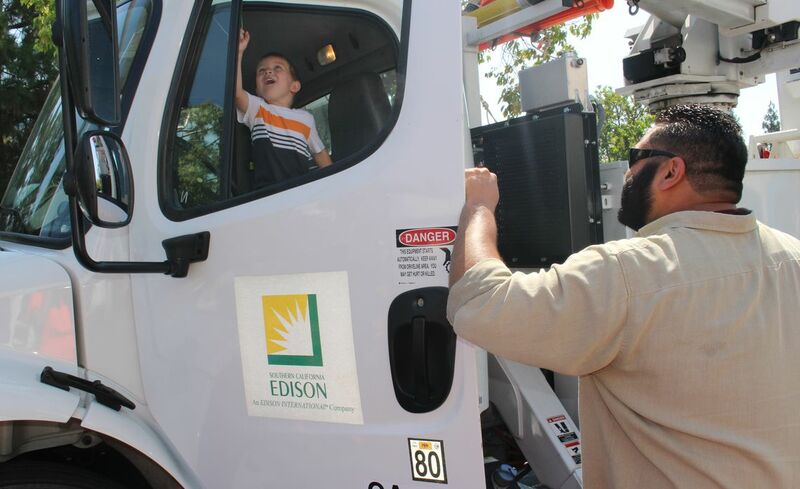 A crew from Southern California Edison’s Saddleback District delighted the children with their bucket truck. Saddleback District Manager Dirk McConnell and crew members Ryan Cherrie, Paul Gaeta and Kevin Smith helped show the kids the truck and their equipment in these photos by Karalee Darnell. 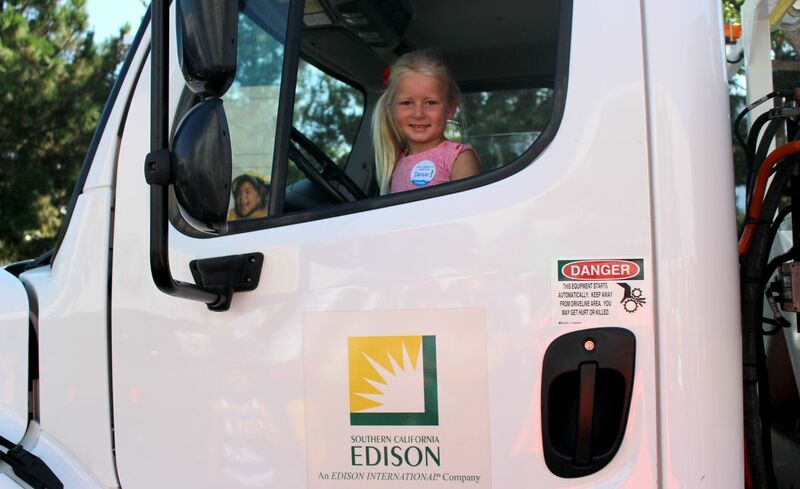 Harper Watson learns what it's like to be in the cab of an SCE truck. 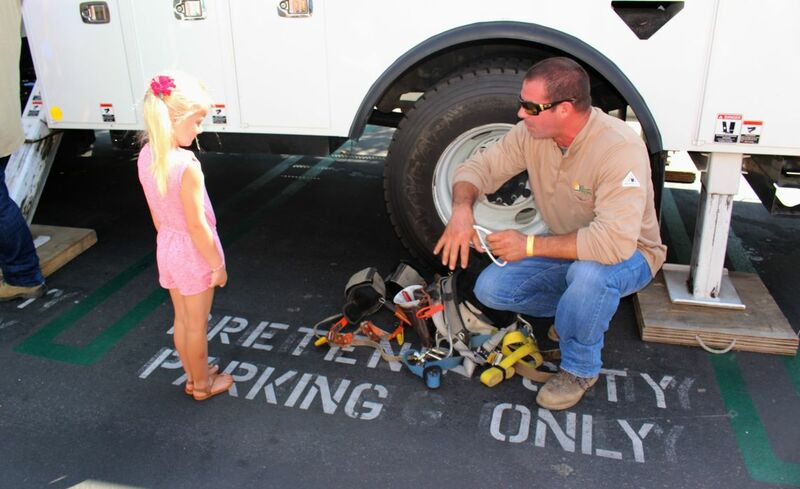 SCE lineman Paul Gaeta helps Niko Maloney check out his SCE truck. 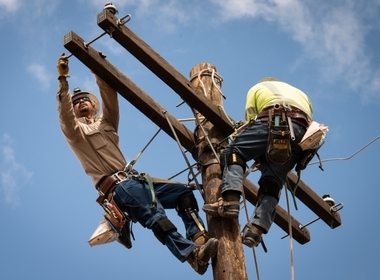 SCE electrical crew foreman Kevin Smith shows Harper Watson some of the equipment he uses. 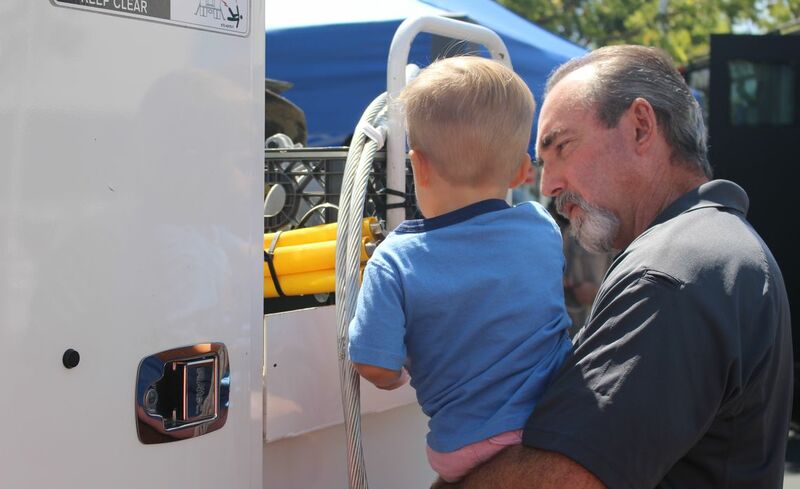 SCE Saddleback District Manager Dirk McConnell shows his grandson, Jett Schlegel, equipment in the back of an SCE truck.